“Migraine.” This oil painting, by Dr. Emily Bates, was created while she was collecting data for this publication. 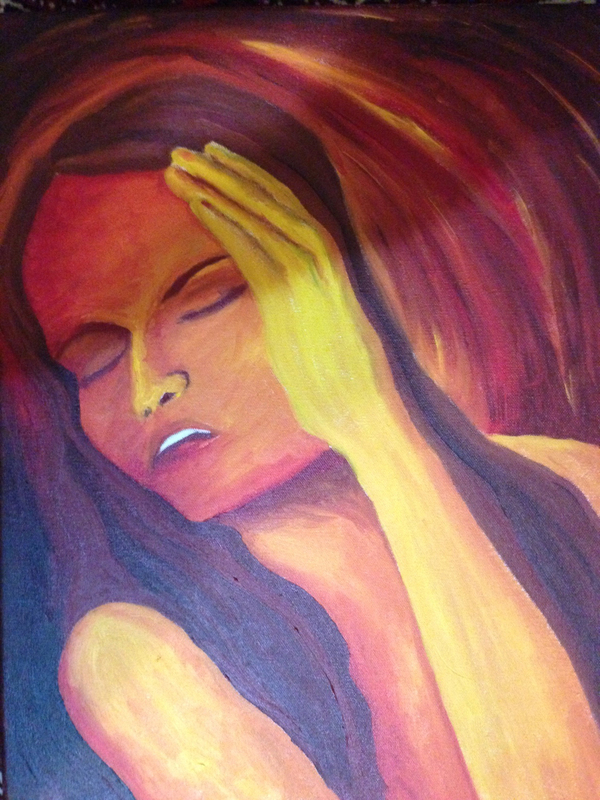 As a migraine sufferer, this painting describes how migraines feel to her. Migraines—pounding headaches sometimes preceded by a visual “aura,” and often coupled with vomiting, nausea, distorted vision, and hypersensitivity to sound and touch—can be highly debilitating if recurrent and prolonged. They affect millions of Americans and an estimated 10–20 percent of the global population. Yet what predisposes individuals to them is somewhat of a mystery. Though there are certainly environmental triggers, the tendency for migraines to run in families suggests that there’s likely an inherited component. Recently, a team of NIH-funded researchers, one of whom regularly suffered from migraines herself, found a gene that plays a part.